Beyond Self Esteem answers the questions: How can people overcome the problems of low and hurtful self-esteem? Is there a way to be in a state of awareness where our self-esteem is evident, irrefutable, and permanent? This book can open your mind to the presence of your boundless and inherent self-worth; transforming the way you think about yourself, life, and the world. Using every-day experiences and insights gained through her years of practicing EFT (Emotional Freedom Techniques), being a mother of four, a wife and studying A Course in Miracles, Eloisa Ramos sheds light into our way of thinking and the subconscious processes that work through our perception that lead us to see our “self” and the world negatively. Beyond Self Esteem: Discovering Your Boundless Self-Worth opens the possibility to an understanding of your inherent, limitless worth that transcends the idea of self-esteem. Unlike most other self-help books, which advocate self-esteem as something that needs to be built up, to be improved, Beyond Self-Esteem dispels this widely accepted perception and helps guide you to recognize that your self-worth already exists whole and perfect. 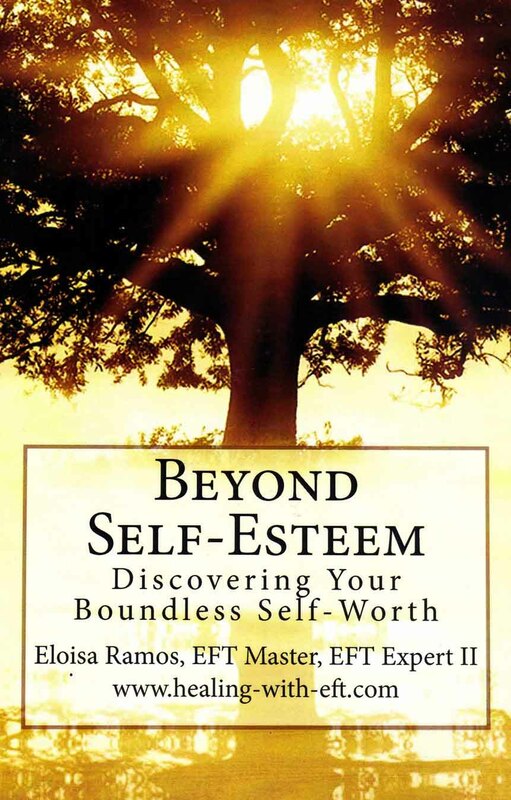 "I am reading Beyond Self-Esteem - Discovering Your Boundless Self-Worth and loving it. Thank you for writing it." "When you're finished with this book, it will leave you rethinking what you thought you knew." "I felt like a great weight had been lifted off my shoulders!" Pay below, but you will need to get back to this website where you will enter your email again to receive download instructions for the PDF copy. Contact me here (at the bottom of the page) if you have problems with the download.